TCF can provide accurate and repeatable airflow, pressure and power data for fans of all types by performing an airflow measurement test per AMCA standards 210 and 260 using one of three chambers and our AMCA 260 induced flow box located in our test lab. Two of the chambers can accommodate airflow rates up to 65,000 cubic feet per minute and static pressures up to 10 inches of water while the third high pressure chamber can handle airflow rates up to 10,000 cubic feet per minute and static pressures up to 80 inches of water. The AMCA 260 box is capable of testing fans with inlet diameters of 50 inches or smaller. 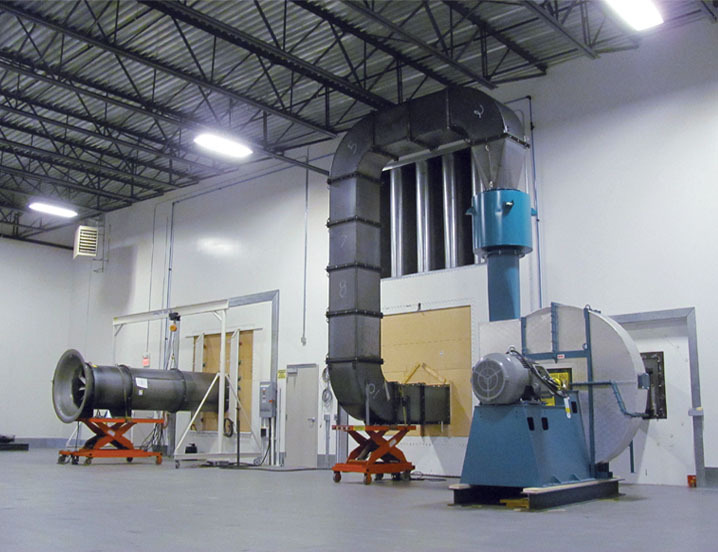 When a fan exceeds the size limitations of our chambers, large scale duct testing can be conducted at one of our manufacturing plants. TCF can provide accurate and repeatable results by performing airflow measurement testing per AMCA standard 210 for fans of virtually any size, airflow rate, static pressure and horsepower. This method of testing is very space consuming and requires a very long duct section to be attached to the fan. Another option for determining the airflow performance of fans that are too large for our chambers is to perform an airflow measurement test using guidelines from AMCA publication 203 at one of our manufacturing plants. For this particular test, fans are installed with ductwork on the outlet and either a bell or duct on the inlet. This results in accurate and repeatable testing and generally requires less space than an AMCA 210 duct test. Note: TCF’s test lab, the Brookings, SD manufacturing plant and all testing personnel are NQA certified for the air performance testing of fans used in the nuclear power generation industry. When installed fans are required to be tested in the field, they are tested in accordance with the AMCA 203 or 803 testing guidelines. AMCA 203 covers the field testing of all fans in general, whereas AMCA 803 covers the field testing of industrial process fans for the power generation industry. 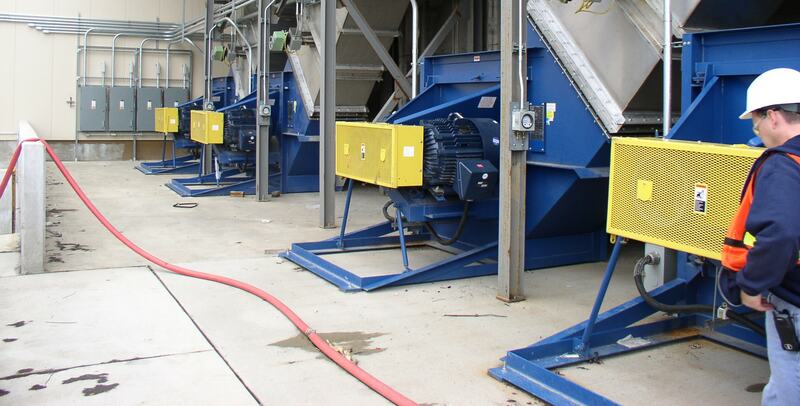 When testing any fan in the field, the overall system must be carefully taken into consideration to accurately determine where the measurements will be taken and if there are any system elements that may negatively affect the fan performance. This testing can lead to huge returns by optimizing existing systems.